We recently had the chance to review MelanSol. "One of the biggest concerns for families this summer is how to best protect their skin from over-exposure to UV rays. MelanSol 100% Natural Sunscreen was just judged as "One of the Best Sport and Beach Sunscreens for 2011" by ewg.org. It's safe, protective, healthy, and environmentally responsible. Kids love it because it doesn't burn their eyes." This sunscreen worked really well. In our family we have 2 lucky ducks who tan super easy and 2 not so lucky ducks who spend 20 minutes in the sun and freckle an burn. I like that MelanSol has a line of sunscreens to protect a variety of skin types. Even though B and A tan easily, I still like their skin to be protected from sun damage and D and I need to apply sunscreen religiously. 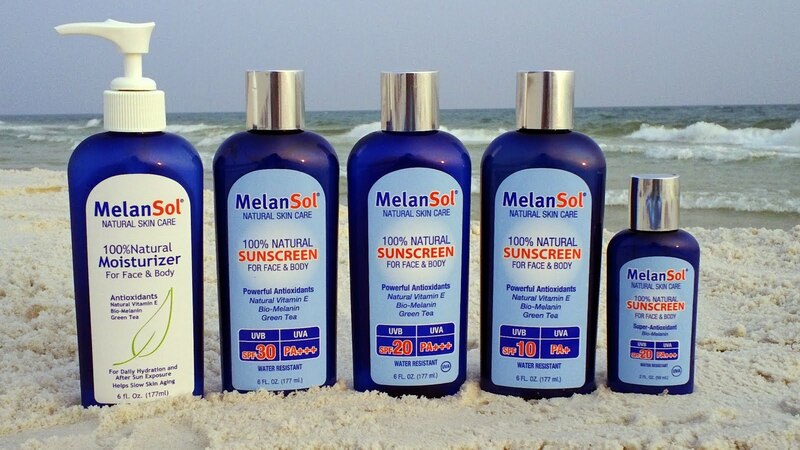 MelanSol covers all our bases and keeps everybody's skin safe and sunburn-free:) ABCD Diaries gives MelanSol an A! Buy It: Find this sunscreen at http://www.puresunscreen.com/! Disclosure: ABCD Diaries was given MelanSol for review purposes only. We were in no other way compensated. The opinions expressed in this post are ours and ours alone.